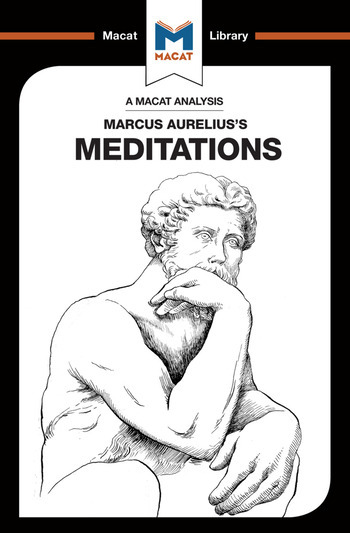 Despite being written between 170 and 180, Marcus Aurelius’ Meditations often resonates with modern readers because of its remarkable resemblance to a self-help book. Written as a series of personal notes in the last decade of his reign as Roman emperor, the meditations were never intended for circulation. But they remain today among the classics of stoic philosophy – and as exquisite examples of problem-solving. Meditations sees a great leader engaged in solving one of the central problems of all philosophy: how to live a good life. Marcus Aurelius is quick to ask questions and generate solutions, all of which lead him to a greater understanding of what a good life really is. He makes the decision that philosophy is an important tool we can use every day to help us understand and deal with the world. The best way to get to the bottom of a problem, he records, is to analyze its different aspects with care – this will help to ‘dissolve’ the issue. To keep our minds well balanced, it is vital to keep our desire for the material and the sensual in check to avoid falling prey to negative behaviors like jealousy, quarrelling and indulgence. Philosophy, the Meditations show, can also help us to understand other people’s problems and difficulties – acting as a continual spur to the consideration and resolution of problems, wherever they arise. Dr James Orr holds a DPhil in the Philosophy of Religion from the University of Cambridge. He is currently the McDonald Postdoctoral Fellow in Theology, Ethics, and Public Life at Christ Church College, Oxford.